A Spectacularly Explosive Fail – Trees & Flowers & Birds! 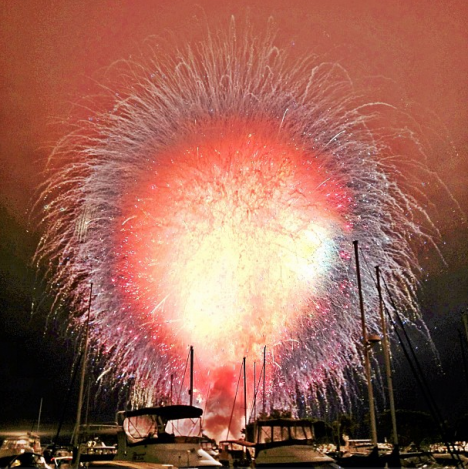 Over the San Diego bay last night, there was a bit of a..shall we say…premature ignition….of Every. Single. Firework set to explode for their 4th of July show. I do believe this is as close you will ever get to a visual representation of the rockets’ red glare, the bombs bursting in air, don’t you think?! Haha, I didn’t see it personally, but I did feel it – it was like an earthquake. A lot of my friends were disappointed with the show, that’s for sure. I wonder how much money those fireworks cost? I’m guessing in the hundreds of thousands.